Conservative leader Sean Hannity went off on the #NeverTrump elitist crowd again on Saturday night. The #NeverTrump movement is doing everything they can to put Hillary Clinton in the White House. 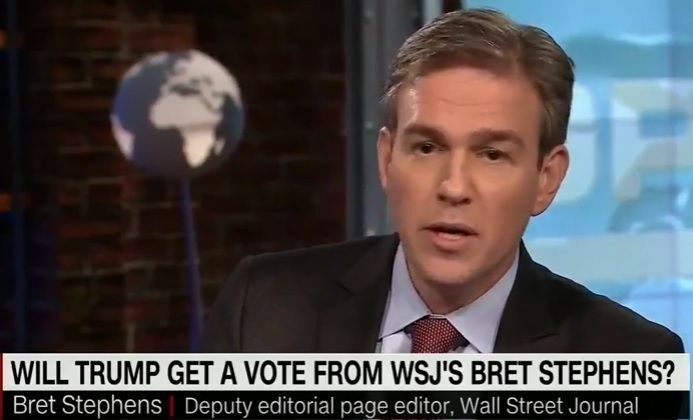 In May, Wall Street Journal deputy editorial page editor Bret Stephens told Fareed Zakaria on CNN that Donald Trump needed lose decisively to Hillary Clinton. On Wednesday Sean Hannity blasted the #NeverTrump so-called conservative crowd who continue to denounce and sabotage the Trump campaign. Stephens should be more careful with his English when calling someone dumb. The correct possessive Stephens was looking for was “FOX News’s” not “FOX News'”. After his popular three hour radio show and successful TV show Hannity responded. On Saturday Sean Hannity took a swipe at #NeverTrumper Jonah Goldberg who says he’s not for Hillary but his Twitter feed makes it look like he’s paid by the DNC. Trump supporters will not soon forget how Sean Hannity fought for the Republican nominee – Nor will we forget the disgraceful actions of the #NeverTrump elitist Republicans.